You know how some bands release a really great debut record and then struggle to come up with anything nearly as interesting when they follow it up? 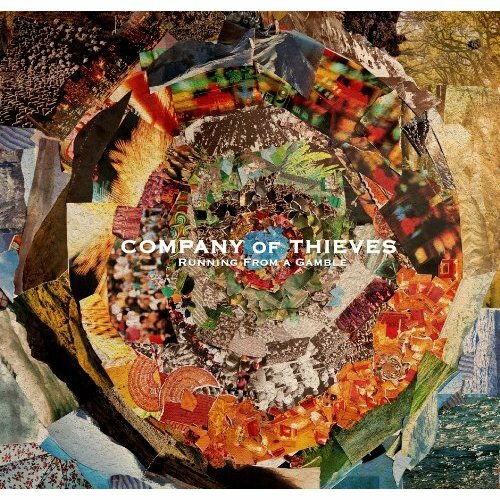 Well, Company of Thieves have pretty much done the opposite with their sophomore full-length Running From a Gamble. That's not to say the Chicagoans’ 2009 debut Ordinary Riches wasn't a perfectly good effort; it got plenty of rave reviews, widespread attention and had a successful indie single in “Oscar Wilde.” But good was apparently not good enough for Company of Thieves. With material, performance and production all at a more impressive level, Running From a Gamble is a stunner of an album that amplifies the band's best qualities tenfold. Everything about this record is bigger. The melodies are more defined, the production (very well done by Rob Schnapf) is meatier, the band rocks harder, and the lyrics are sharper. But probably most notable is the evolution of frontwoman Genevieve Schatz's voice. I don't know what happened to her between the recording of Ordinary Riches and Running From a Gamble, but her singing has become even bolder, more visceral. It's commanding. Maybe something really pissed her off and she had more emotion to let loose, or maybe she just became more comfortable in the studio. Whatever the reason, it plays a major part in making this collection of songs so powerful. The six-minute "Gorgeous/Grotesque" is a perfect example. Grungey, menacing guitars combine with a gritty delivery from Schatz and lyrics about "garbage dumped on the sides of the railroad tracks" and "the birds of the city streets with the dirt on their heavy wings," adding up to an awesomely weird centerpiece of the album that proves just how much firepower Company of Thieves are capable of packing into a song. It's "Queen of Hearts," though, that initially sets the scene for the harder-hitting sound on Running From a Gamble. After a brief, a cappella intro, the mid-tempo track begins the album with Marc Walloch's muscular guitar right up front alongside Schatz's vocals, leading up to one of the band's strongest choruses to date. They performed this song with no shortage of energy during their set at 2010's Lollapalooza festival, and thankfully none of it was lost in the studio. Showing just as much intensity are fast-paced rockers "Death of Communication" and "Modern Waste," which both feature a taut edginess and immediate hooks - two things Ordinary Riches could have benefited from more of. Throughout the rest of the tracks, the band work in a range of sounds to make sure things never get dull. "Never Come Back" and "King of Dreams" are slinky, smoky and full of atmosphere (not to mention particularly amazing vocals). "Look Both Ways" is a jolt of offbeat pop. "Nothing's in the Flowers" and "Syrup" are smoother and a bit more conventional. There's even a brassy soul-pop number, "Tallulah," tucked into the second half of the album. Playful and infectious, it comes out of nowhere but is a very welcome surprise. Running From a Gamble doesn't let up in quality as it comes to an close; there's a moving sense of desperation running through the sadly beautiful "Won't Go Quietly," while "After Thought" provides as satisfying and cathartic of a finale as could be hoped for. Running From a Gamble is a huge record made for huge things. 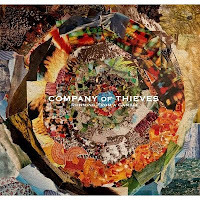 These 13 songs are proof that Company of Thieves deserve the world's attention. Over the course of two albums they have managed to create a sound of their own, which is something that can't be said too often today. I can't wait to see where they take it next. 'Running From a Gamble' is out May 17th on Wind-Up Records, and currently available for pre-order here. Company of Thieves are counting down the days on their website by posting a video daily of a live, acoustic performances of all songs on the album. Thanks so much for the review! It was extremely helpful and informative. I'm pretty excited for this album and I found out today you can get it for free at FYE if you bring in a coupon (yeah, you totally just read that right... FREE). I'm pretty sure the band can do no wrong. Oh, the coupon is here btw: http://cdnd.winduprecords.com/companyofthieves/free.pdf. That's pretty awesome, Sara. Thanks for letting us know. love company of thieves! definitely one of my favorite bands. this FYE promotion is awesome, by the way.